Time for another Daring Bakers‘ Challenge! And this time, there’s chocolate! For the full recipe, and to see the results of other Daring Bakers, check out the Daring Bakers’ Pavlova Page. And as I am wont to do, I had to change the recipe up a little bit… I made the Chocolate Pavlovas (Meringues) from the recipe, but had to go to town on the topping. In order to cut down on the fat content, and the chance that I would eat an entire truckload of Chocolate Mascarpone Mousse, I lightened things up a little bit with a Saffron Vanilla Crème. I call it a “crème” instead of whipped cream, as I make it in my food processor rather than the stand/hand mixer. It’s something I learned to do from a Moroccan cooking class with Bonnie Stern (remember the Baklava Snake? same crème, now with saffron), and have been doing ever since as my standard dessert accompaniment. I wanted to play with flavours, and so in came saffron to accompany the vanilla bean. Yum. 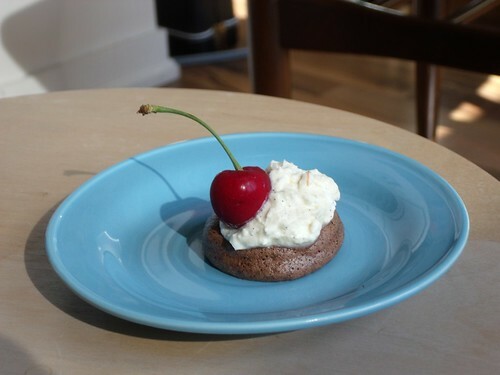 For assembly: place a Mini Chocolate Meringue on a plate, top with Saffron Vanilla Crème, and some fresh fruit. 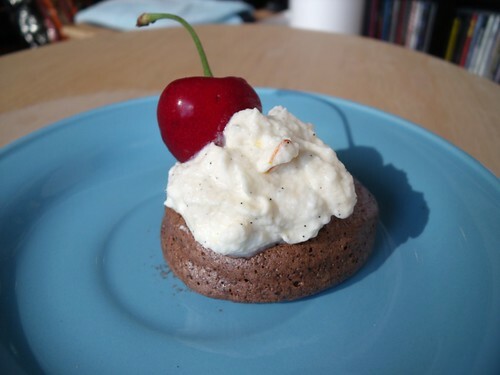 A cherry on top not only satisfies the cliché, but also complements the dark chocolate and warm saffron flavours. Eat with great delight. Place a rack in the center of the oven and preheat to 200F. Line a baking sheet with a silpat (or parchment paper) and set aside. 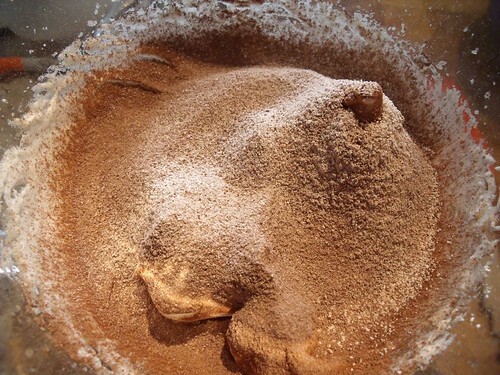 Fill a pastry bag with the chocolate meringue, and pipe the meringue into small circles about 3″ in diameter. Bake for 2 hours, until the meringues have dried out completely. Let cool, and serve or store in an airtight container for up to 3 days. 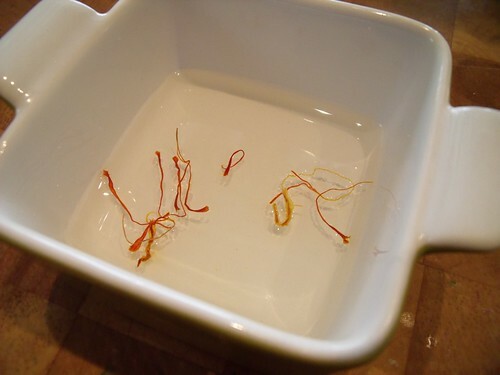 Soak saffron in water for at least 20 minutes, until through the miracle of blooming, the soaking water changes from clear to canary. 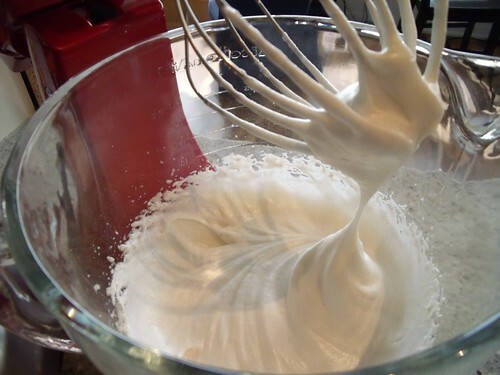 In a food processor, blitz whipping cream until it begins to firm up. Add the vanilla paste and the saffron plus 1 tsp. of the soaking water, and blitz for an additional few seconds, until the cream looks like a rather soft version of whipped cream. Enjoy with all sorts of desserts! Saffron creme is an excellent idea for the topping for this very rich dessert, I like the cherry a lot LOL LOL. Beautiful photos also. Cheers from Audax in Sydney Australia. will make this today if I have time. Oooh, Fran — you are so right — frozen berries in the blender do make the best dessert. 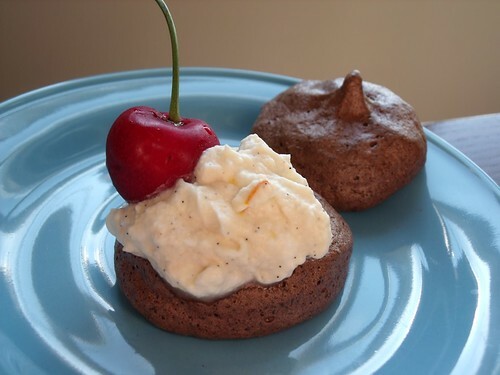 And that would be an AMAZING complement to these mini chocolate meringues! 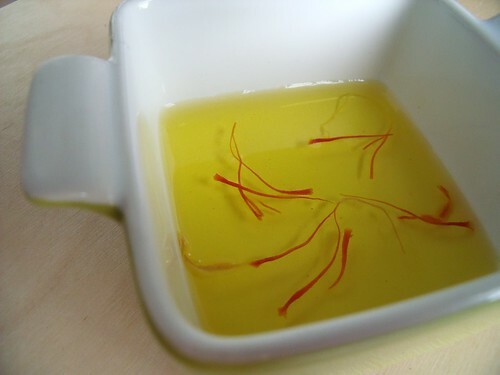 Oooo, your saffron creme looks fantastic! I love the red color of the cherry in your photo as well. Nice work! Love the second picture. The colour combination is just great and the bite-sized pavlovas look delicious! Oh my goodness, saffron vanilla creme sounds amazing and truth be told, being a vanilla gal..I would have preferred it over the chocolate mousse. Beautiful job!! 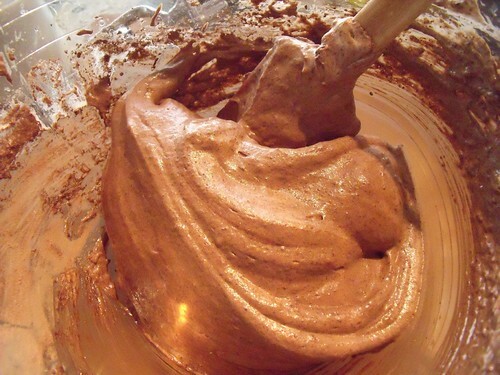 I loved it, and even being a chocoholic I needed something just a little lighter than the mousse! What a beautiful creation you made over here!! I so love the saffron vanilla crème here!! A divine & fab dessert! !